The rapid pace with which internet penetrated into every sphere of human life has opened up umpteen avenues for professionals to earn income from multiple sources. 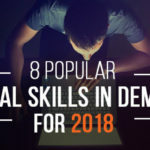 To rake in a fortune through the net, you should be in the know of some popular digital skills that will be in great demand until the end of 2018. Once you are aware of these in-demand digital skills, you will be equipped with invaluable insights that will help you gain an edge over your competitors. Here we shed light on the 8 must-have digital skills that are poised to make their strong presence felt in 2018. This is the age of open source tools like Magneto, Drupal, WordPress and OpenCart. All these tools help web developers make the most of online resources while tagging them with the technical knowledge they have in the spheres of CSS and HTML. 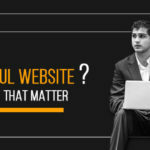 They are now in a comfortable position to build web applications or websites without sweating it out. Some tools are so designer-friendly that they do not require you to write codes. WordPress is one such tool that demands a special mention. 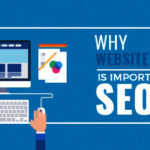 You need to simply focus on the content of your website without bothering about the background code that is taken care of the WordPress tool. 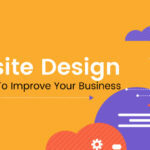 When you hone your web development skills, you will be in a comfortable position to take home handsome paychecks that compensate you for your web solution deliverables. Most of the companies will need your services to build e-commerce websites, corporate websites, while also earning through blogs and forums. Amongst all these, blogging comes as a lucrative option when you can not only express your opinions about various topics but also earn monies. Blogging in that sense is one such digital skill that will give a steady push to your career. If you are looking to attract the attention of prospective buyers for your products and services, you can start off with digital promotions. 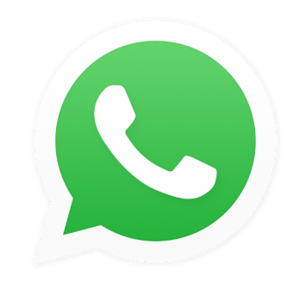 You can market your offerings on blogs and social media platforms. Email Marketing, Search Engine Marketing (SEM) and Search Engine Optimization (SEO) are other forms of digital promotions that will promise you good results. Businesses are currently thrusting a lot of importance to digital promotion as one of the most-sought-after digital skills. You can alternatively sharpen other digital promotion skills like handling and managing social media pages and optimize websites so that your website ranks high on important search engines. 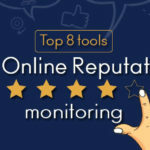 You can additionally lend a helping hand to businesses to churn out rich viral content that can be posted on social media platforms as part of their “call-for-action”strategies. You will agree with the fact that businesses rely a lot on statistics and business trends. Data Analysts are the promising professionals who will lead businesses to profits along with highlighting business trends. Data miners will also help you identify evident data patterns. 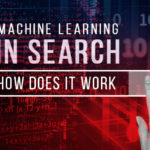 Businesses employing the principles of data mining and data analysis will stand to gain when they will be in a better position to predict consumer behavior. These two strategies help you segment your customers into different compartments so that you can better target your products. However, to thrive with this skill, you need technical expertise linked to Tableau, Python, and Power BI. After you master any of the above technologies, you will need to sharpen your skills associated with exploratory data analysis using data analysis tools like Microsoft Azure Machine Learning Studio and Python R. With all these in place, you will be in a sound position to make the most of Data Analysis and Data Mining skills that the arena of digital marketing demands. IT consulting is another rewarding digital skill that will demand a lot of attention in 2018. As an IT consultant, you will be putting your domain knowledge and technical expertise to their ultimate use to benefit your clients.. Advising your clients as to the path they need to tread, you will be the point of contact for all such initiatives that will reduce business operational costs. You will also become an instrument for your client to increase their revenue. You can step into the domain of IT consulting by conducting an extensive research on the lines of business of your potential clients. You also need to gather the pain points faced by every business. Enlisting all your observations in the form of a business proposal, you will be able to win over the confidence and goodwill of your target audience who will eventually become your clients. IT consulting is one such digital skill that calls for good presentation skills along with strong writing skills that help you come up with compelling proposals..
Chatbots are emerging to be the next new kid on the digital block. Digital marketing teams have already started incorporating chatbots into their brand positioning plans. Through chatbots, you will be able to not only provide efficient customer service, you will also be able to establish a strong proactive connect with your users. The year 2018 will hence see a number of websites relying on chatbots as the promising customer care executives draped in the garb of robots. All set to improve your brand equity in a number of time-saving and cost-effective means, chatbots are poised for the long haul. For you to come up with a good user experience, it is time you understand the human sentiments that revolve around making an online choice. User Experience is a technique that is governed by the principles of human psychology; another priority digital skill in 2018. Digital marketers will go the extra mile in offering optimal user experience to their target audience by delving deep into how they engage with their websites. What is it that is needed by users should be answered by your User Experience strategy. Last but not the least, it is for digital marketers to continue their efforts by blending videos with user-friendly content that comes in the form of compelling stories. The year 2018 will see the rising popularity of mobile videos which have already created ripples through social networking platforms like Facebook, Instagram and Snapchat. It is through these interfaces that users will be able to enjoy videos which are teamed with mobile-friendly content. Storytelling will continue to call the shots, with more and more viewers getting attracted to informative videos. And if you are a digital marketer aiming to win the race, it is time you start sharpening your storytelling skills meant for a digital video. While doing so, you will also be in a position to differentiate between what types of stories work in favor of your brand and what don’t. Given the fact that is not a piece of cake to churn out a compelling 10 second video ad, you will be in a better position to garner the attention of your users when you dig deep into the various video needs of your audiences. Hence this skill of blending stories through mobile videos will be another top-ranking digital skill that you need to hone in 2018. Having enlisted all the popular skills that will make their strong presence felt in the arena of digital marketing, it is time to pull up your socks and sharpen these skills. And once you begin to look at these skills as the life-blood of your marketing strategies, you will be in a favorable position to popularize your brand through a series of well-informed moves. So what are you waiting for? You already have the list of digital skills that are needed by you. All it takes is to extend efforts in the direction of these must-have abilities so as to stand ahead of your competitors. You will then be declared the fittest braving the heat of tough digital competition.